Reflection Bay Golf Course is the perfect location to create beautiful images. So many beautiful backgrounds, such as the lake, big palm trees, flowers, a little creak, sandy beaches. 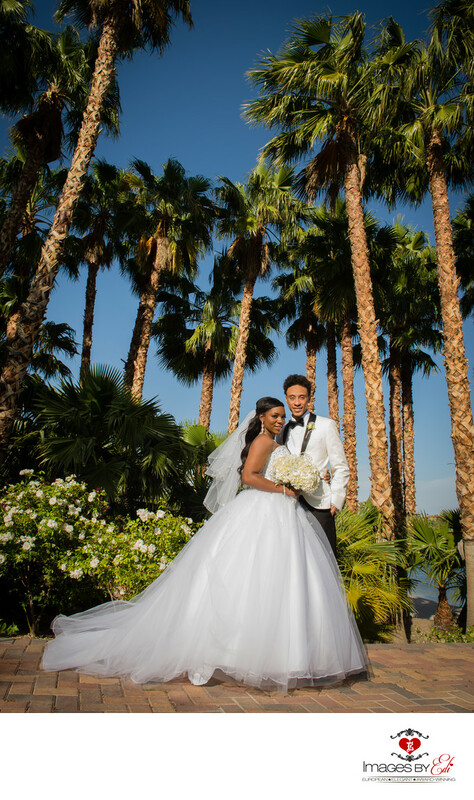 This traditional portrait of the bride and groom was created after their outdoor ceremony in front of the tall palm trees and the blue sky, while the guests were taking a yacht ride on the La Contessa on the lake during their cocktail hours.